The stars and starlets truly brought something special to the 74th Annual Golden Globe Awards held on January 8 at The Beverly Hilton… all set the Red Carpet ablaze! With the HFPA on hand, our actresses stunned! And here at TME, we have all of the looks to share with our stunning readers! 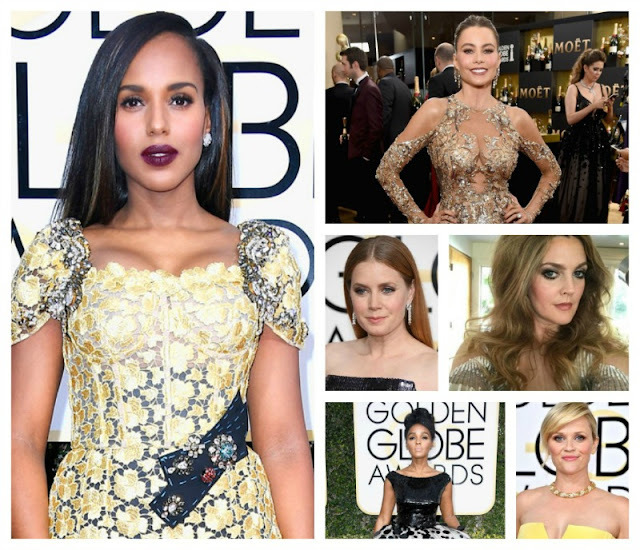 So read on to Get The Look for Reese Witherspoon, Amy Adams, Sarah Paulson, Olivia Culpo, Heidi Klum, Kerry Washington, Drew Barrymore, Sophie Turner, Nicole Kidman, Janelle Monae and Sofia Vergara. Did you think that we wouldn't tell you where to get the best beauty products in town? Checkout this list below to find out where to get the products from your favorite looks!